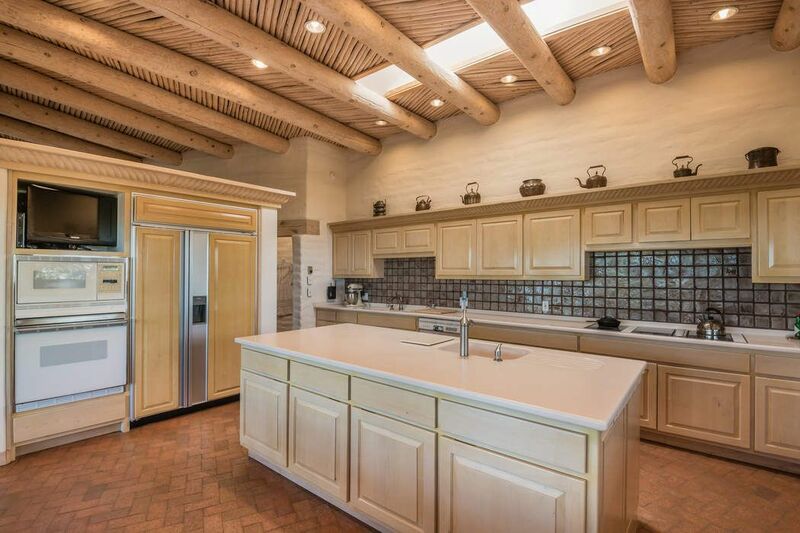 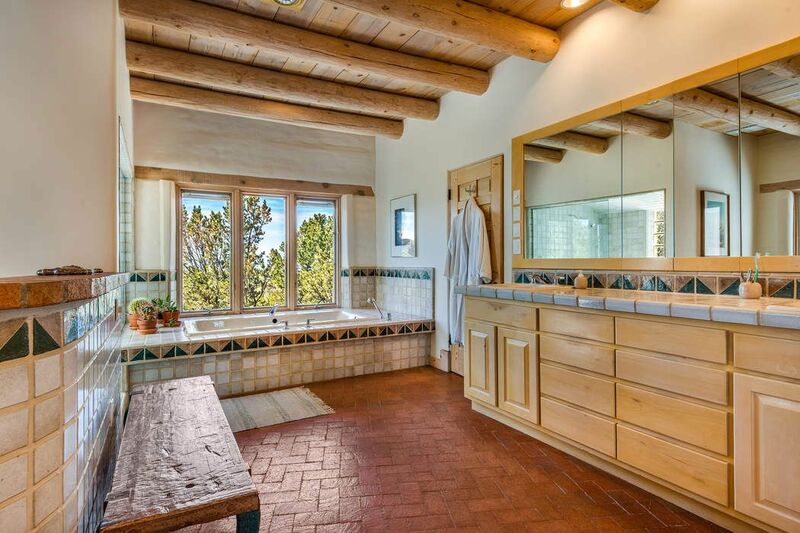 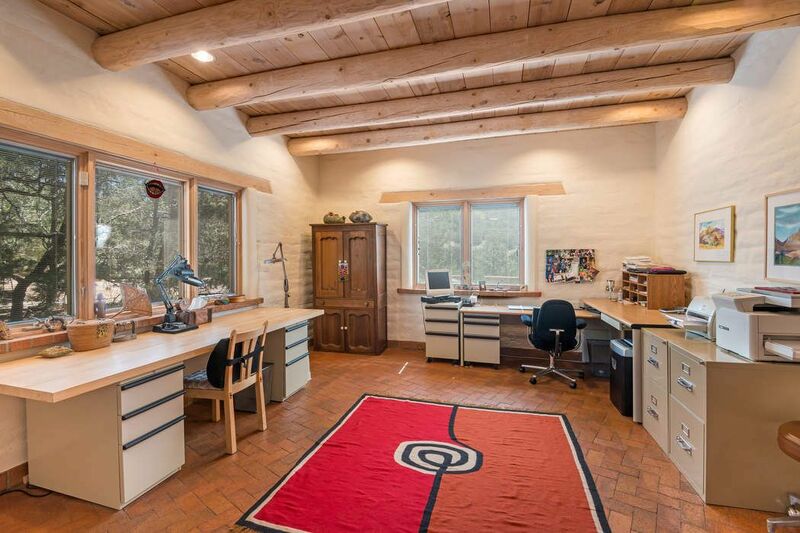 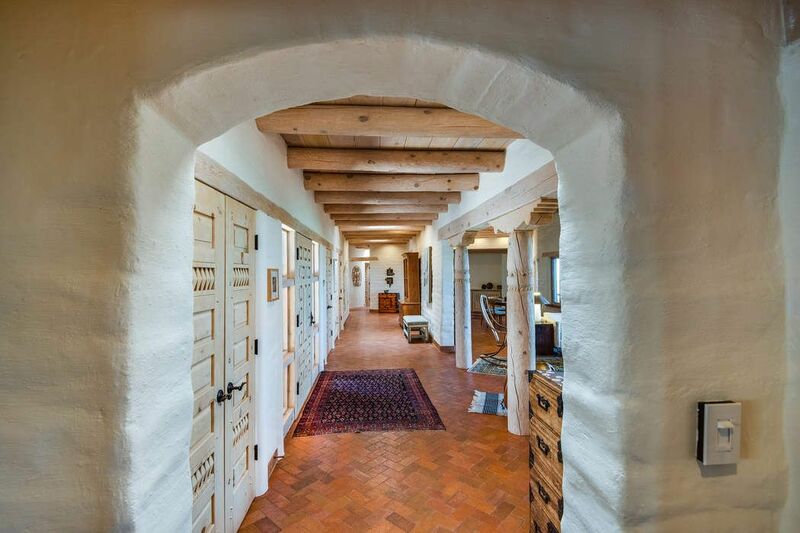 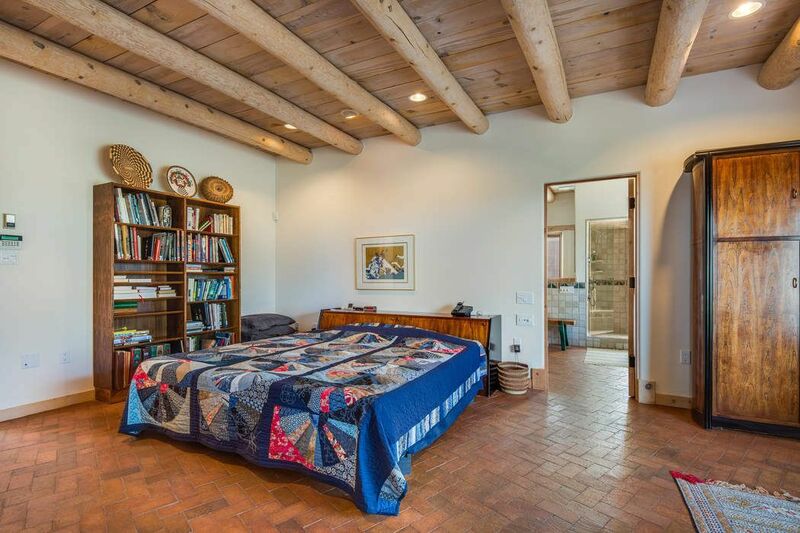 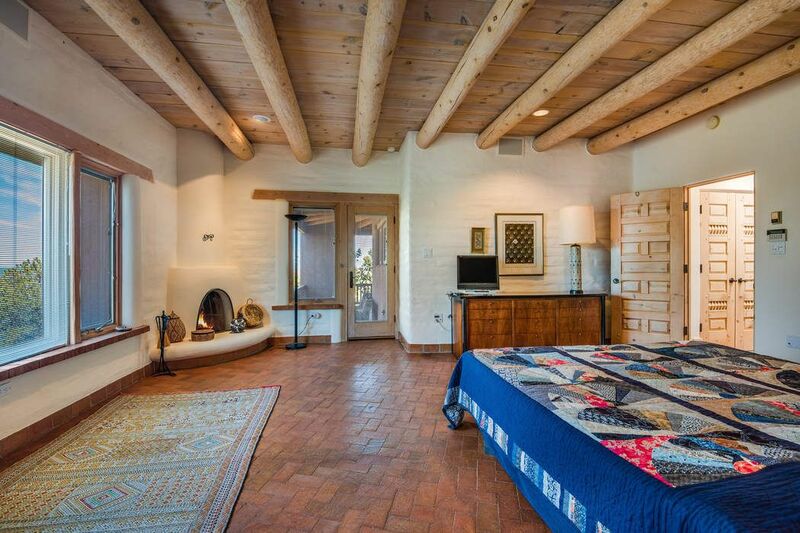 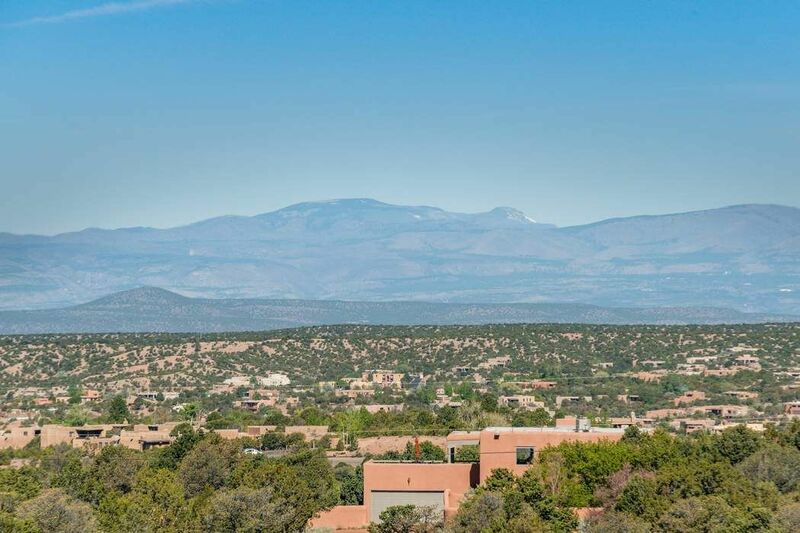 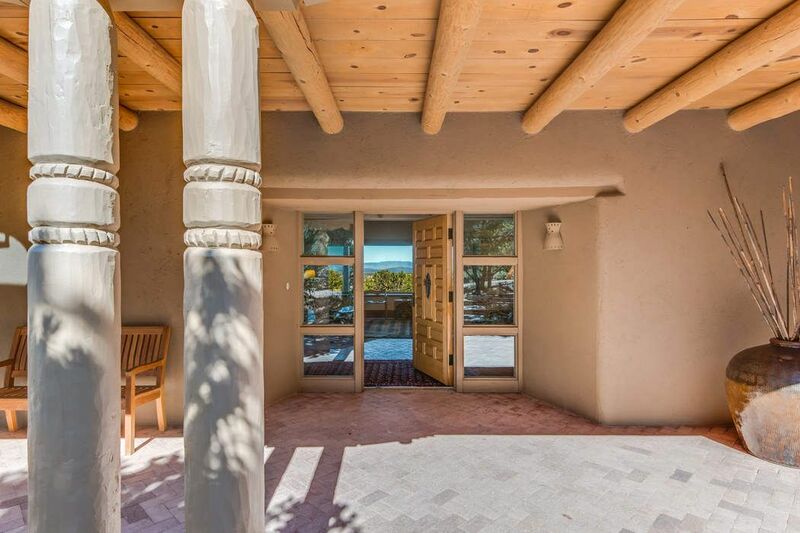 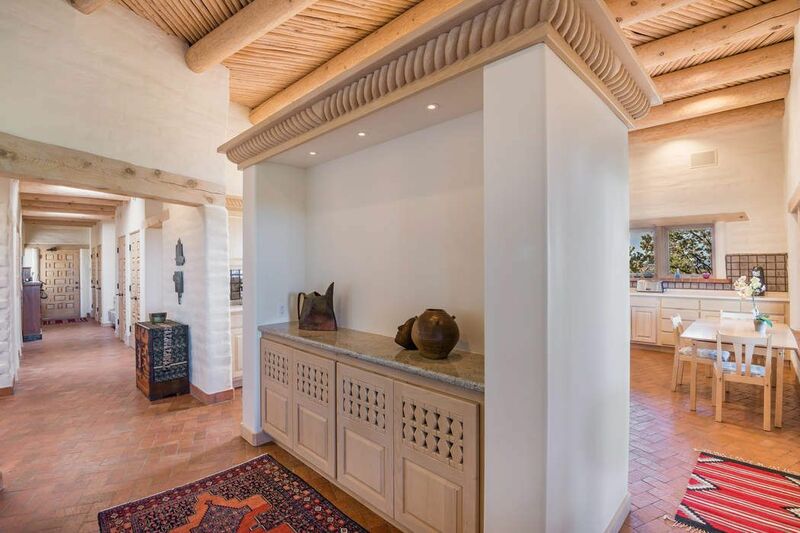 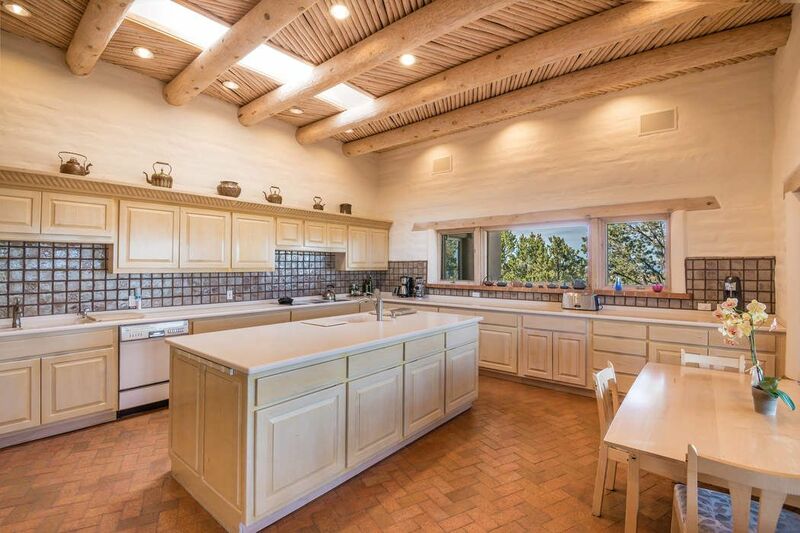 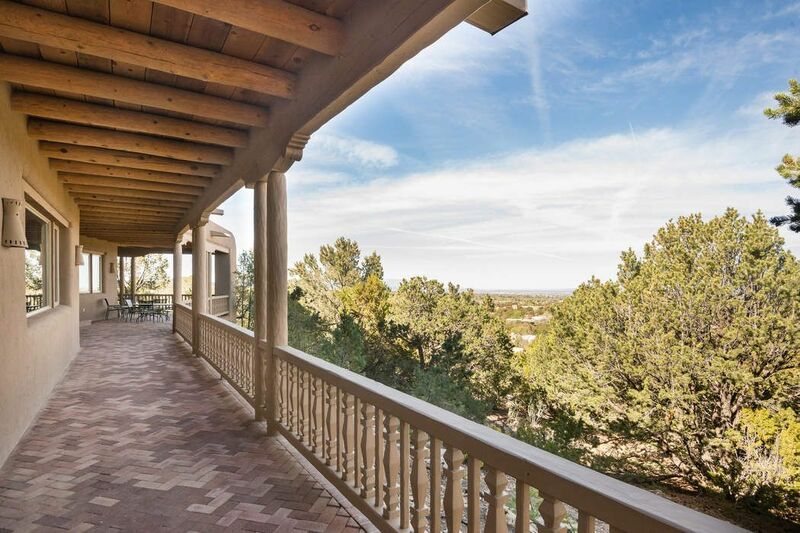 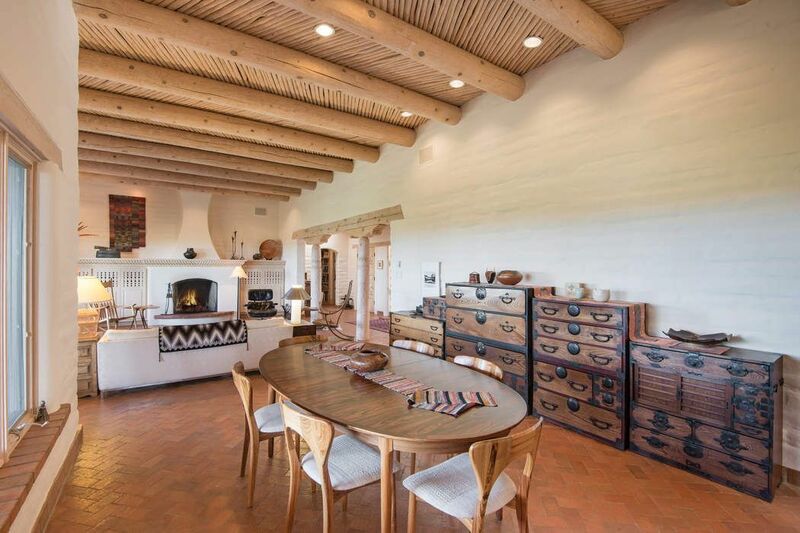 700 Panorama Lane, Santa Fe, NM 87501 | Sotheby's International Realty, Inc.
$1,395,000 4 Bedrooms3 Full Baths4,800 sq. 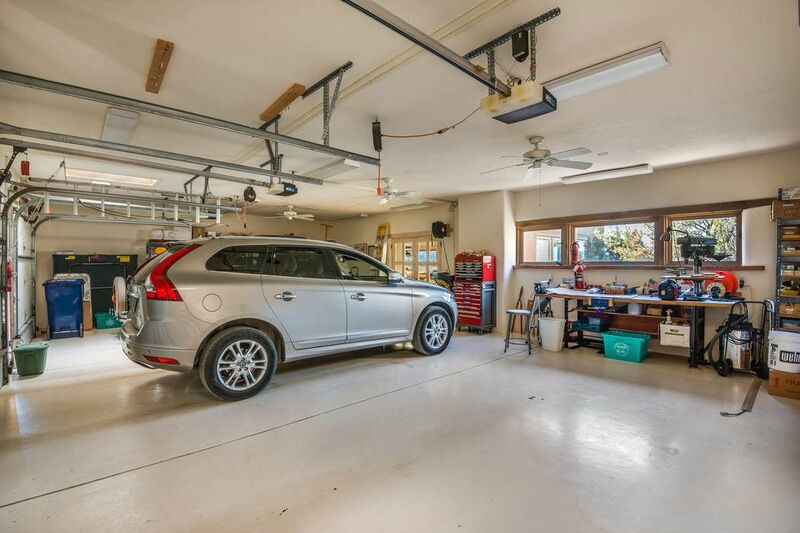 ft.
At the End of a Private Lane! 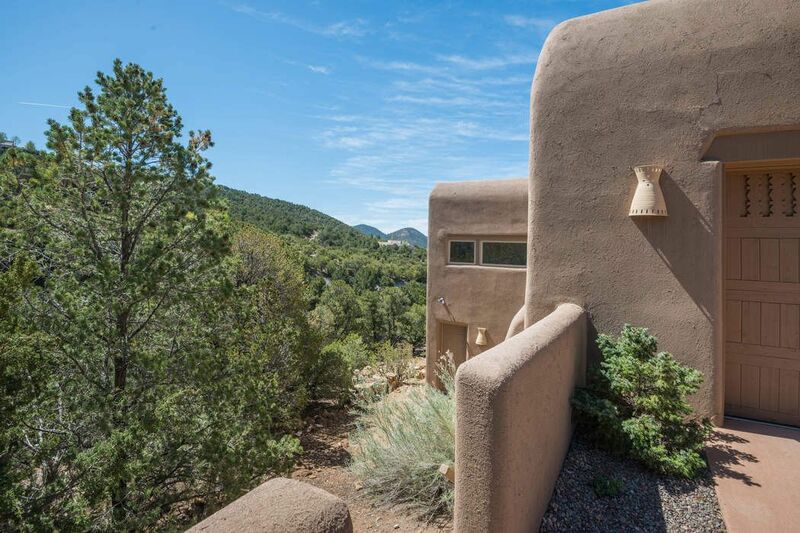 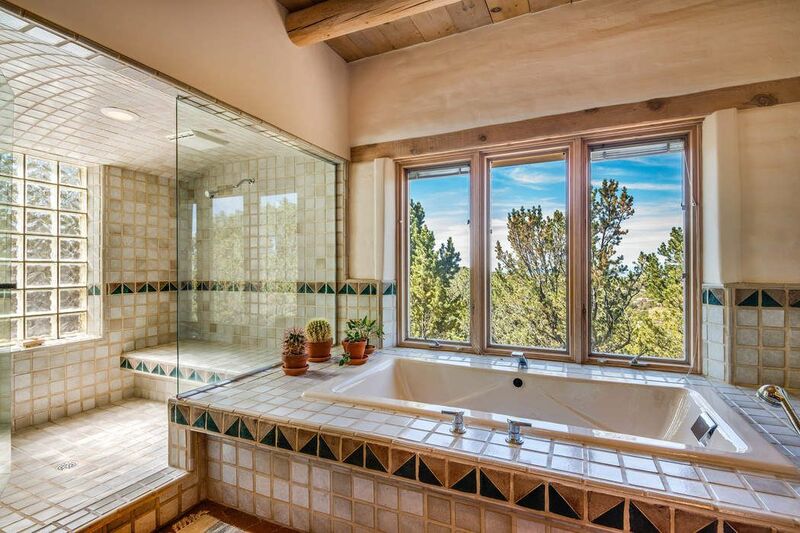 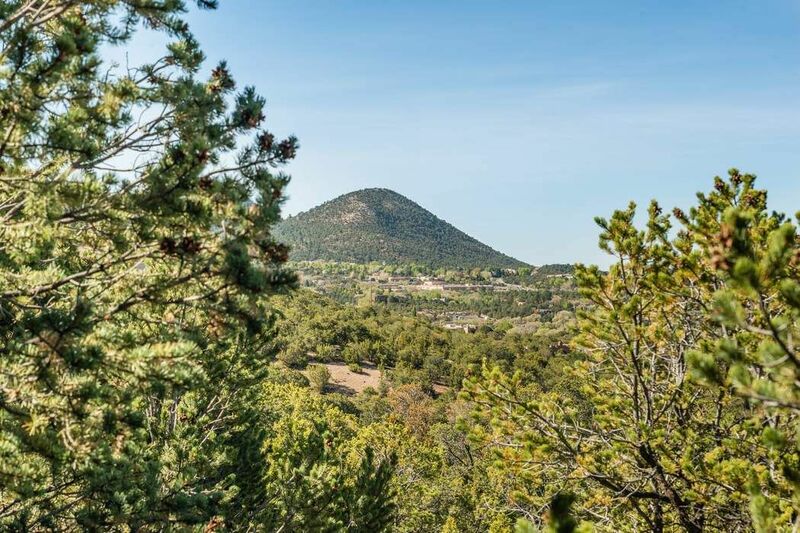 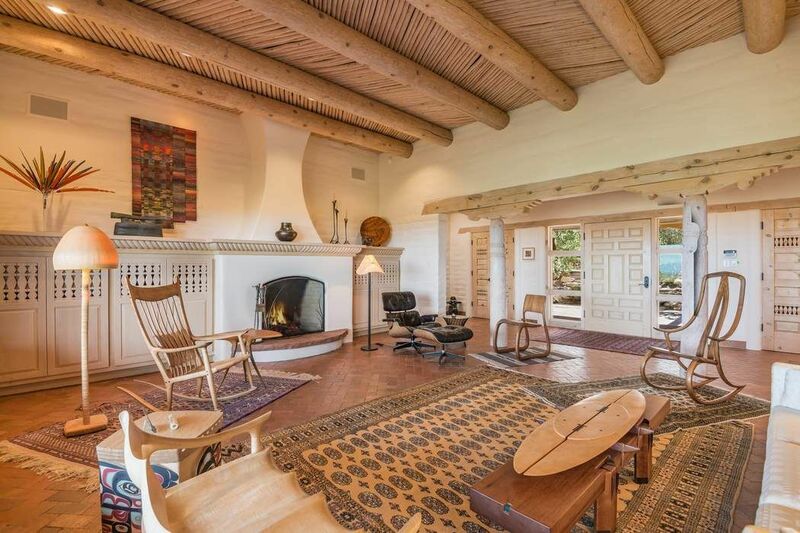 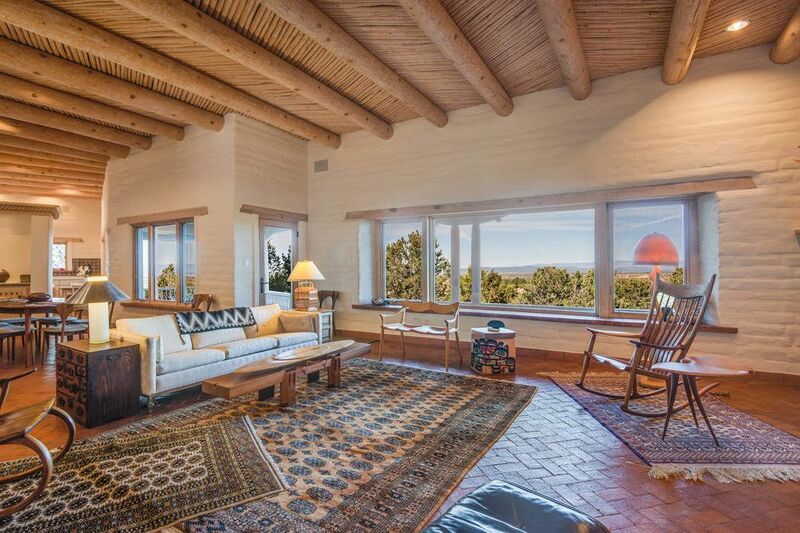 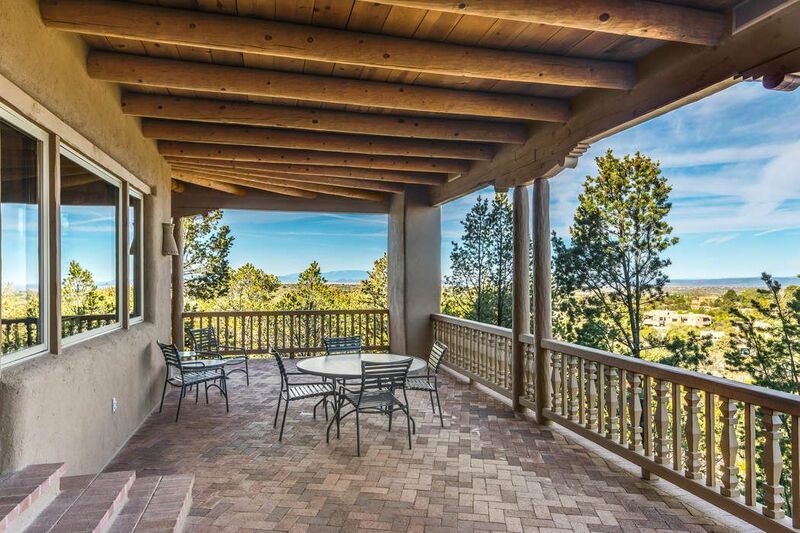 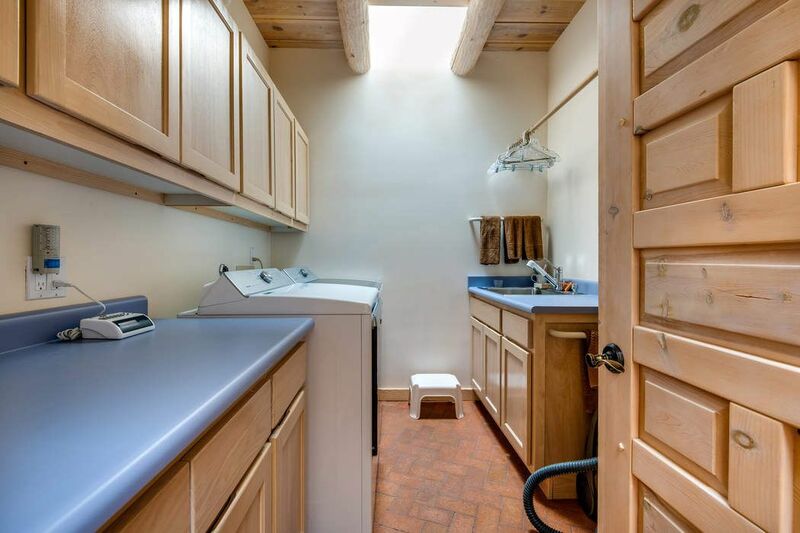 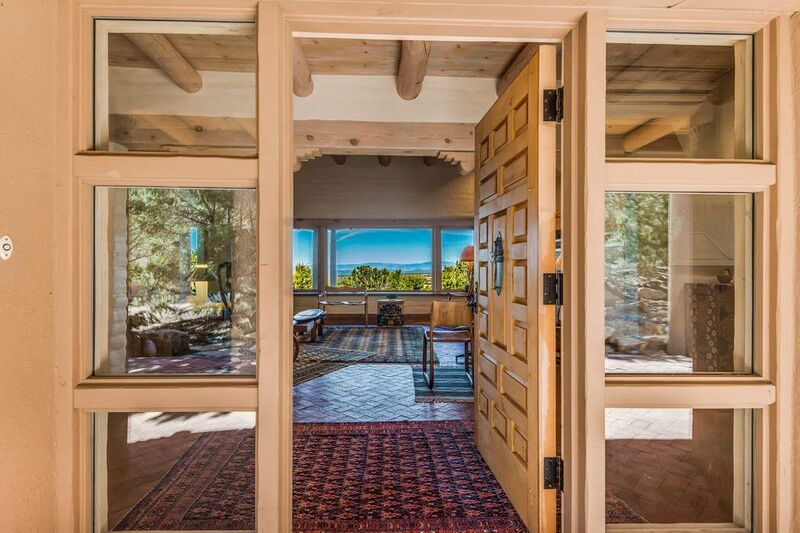 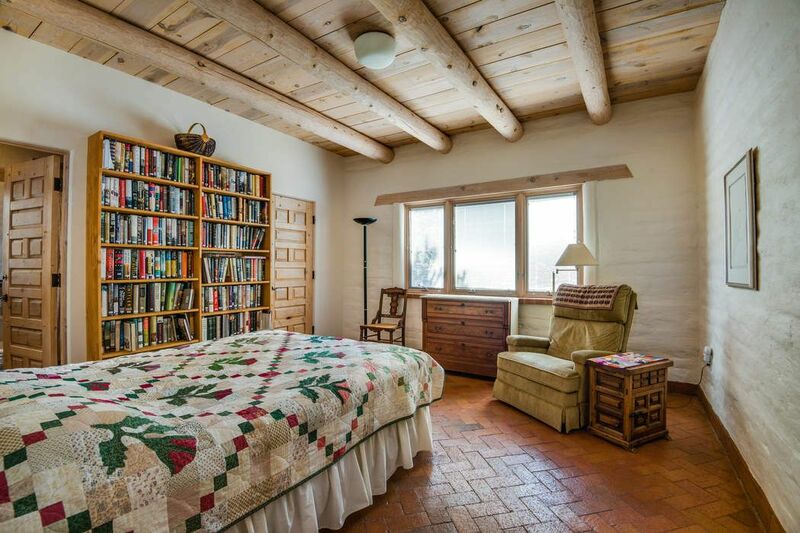 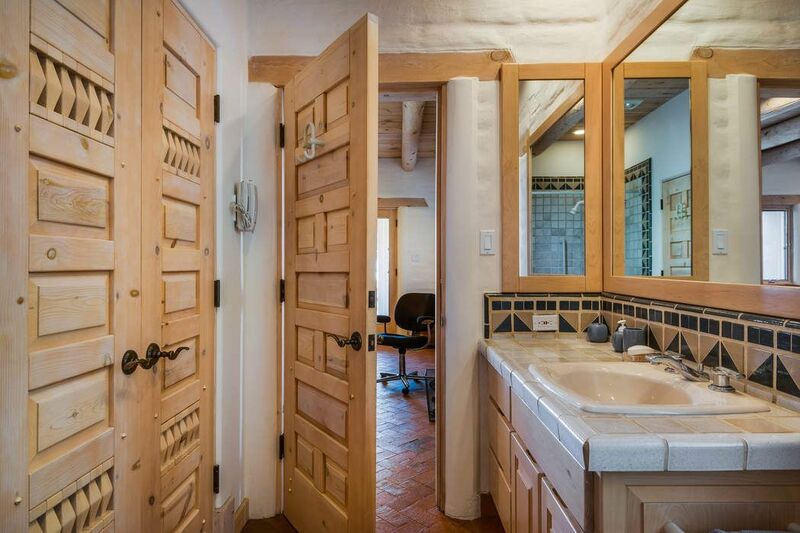 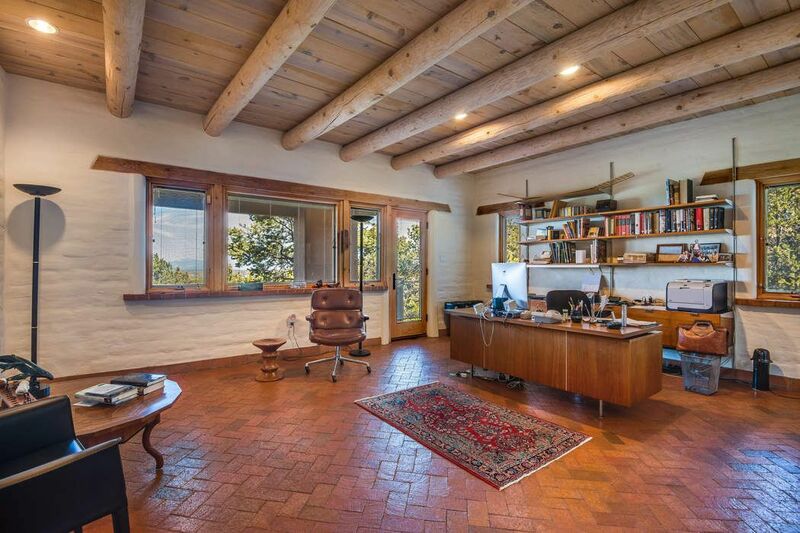 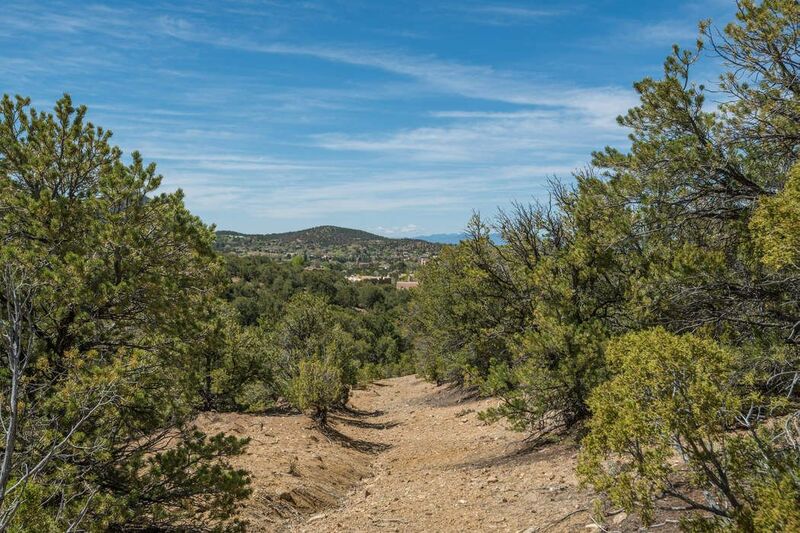 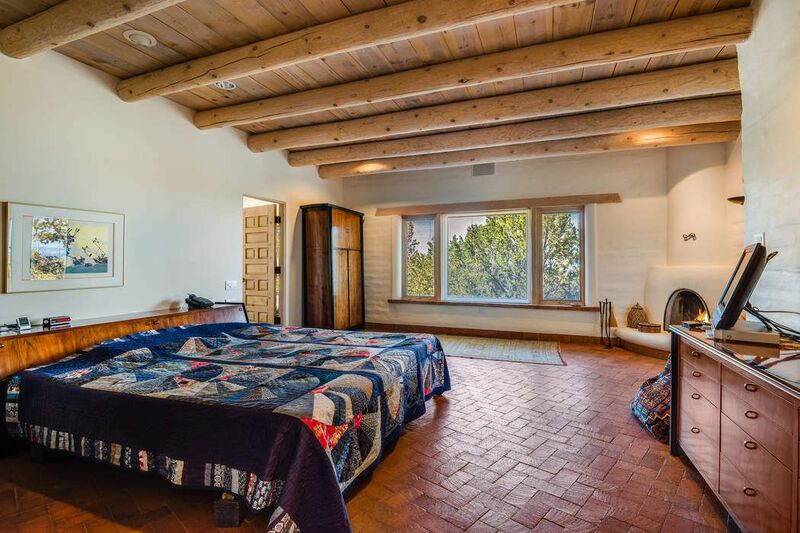 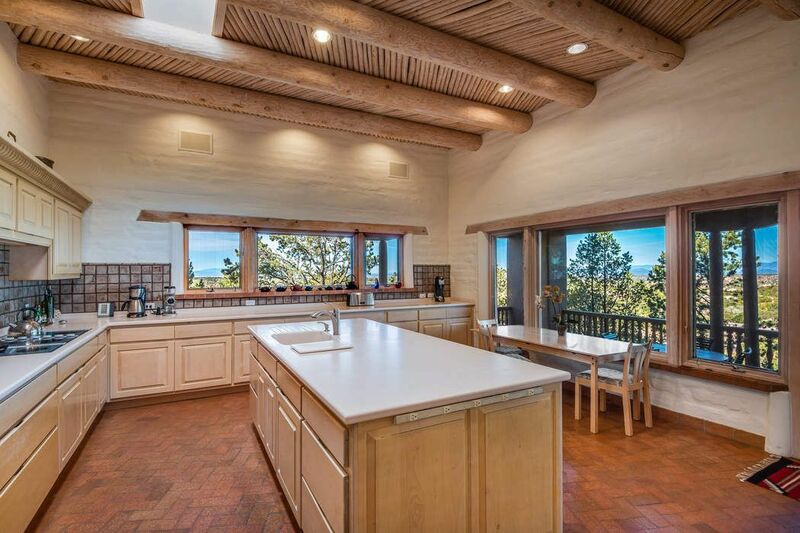 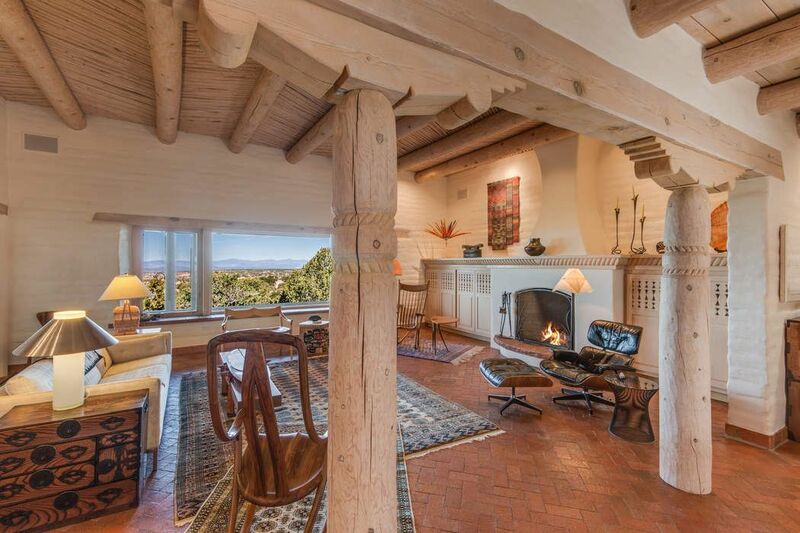 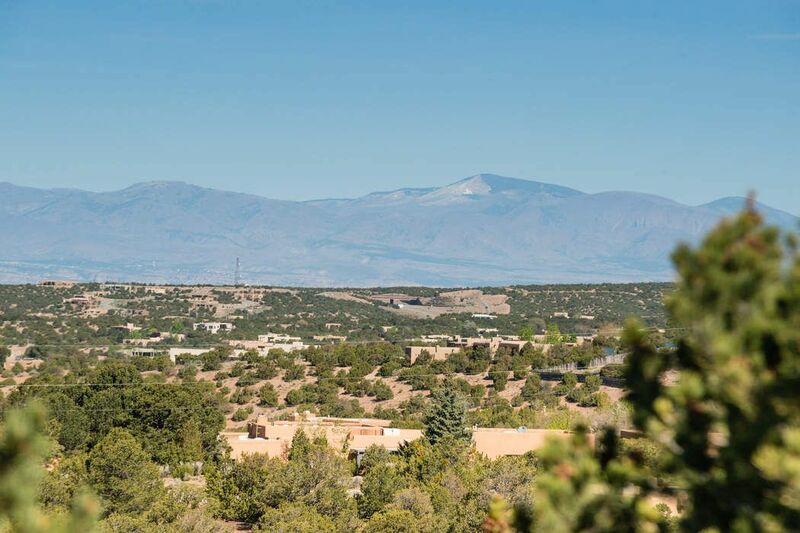 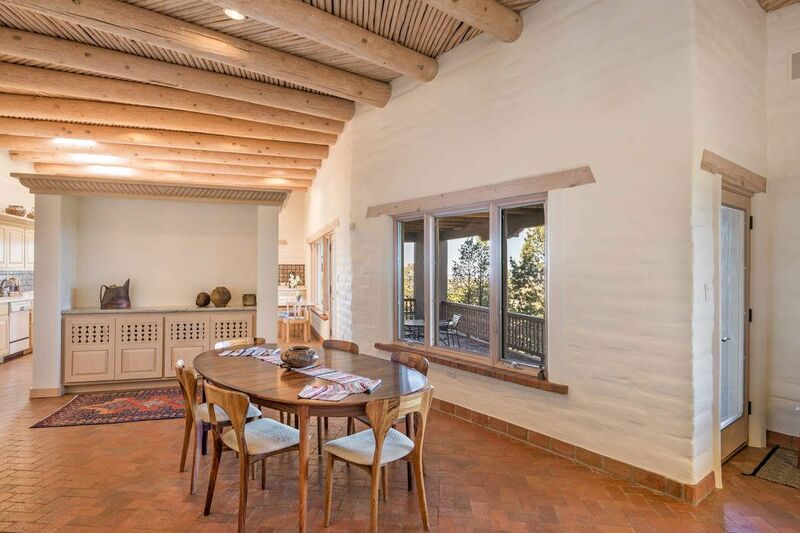 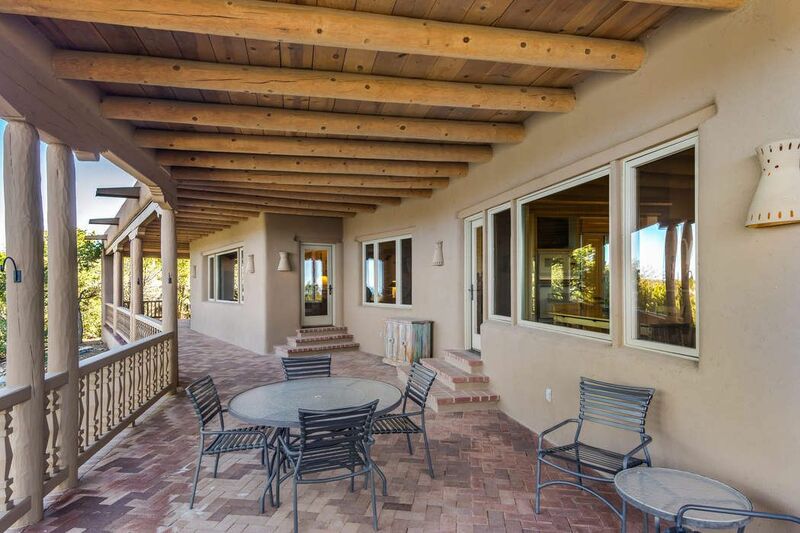 Just minutes from downtown Santa Fe at the end of a private hillside lane, this elegant, distinctively detailed home is sited on a beautiful lot offering stunning city and mountain vistas. 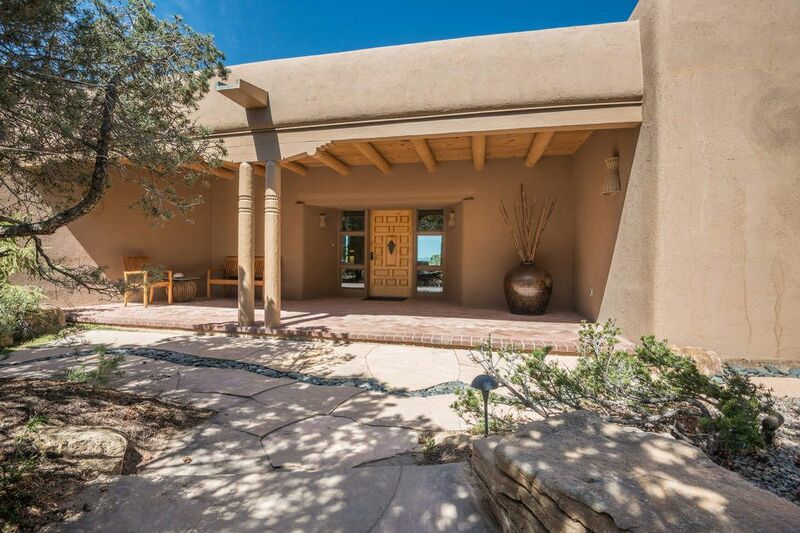 Its open floor plan includes an impressive living room, dining room, and kitchen, a secluded spacious master suite, two guest bedrooms with a shared bath, and an office and adjoining bath that could serve as an additional guest room. 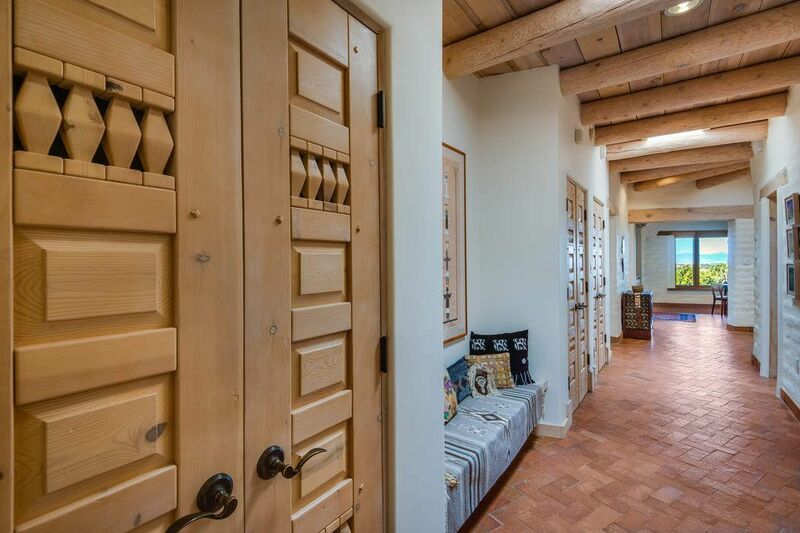 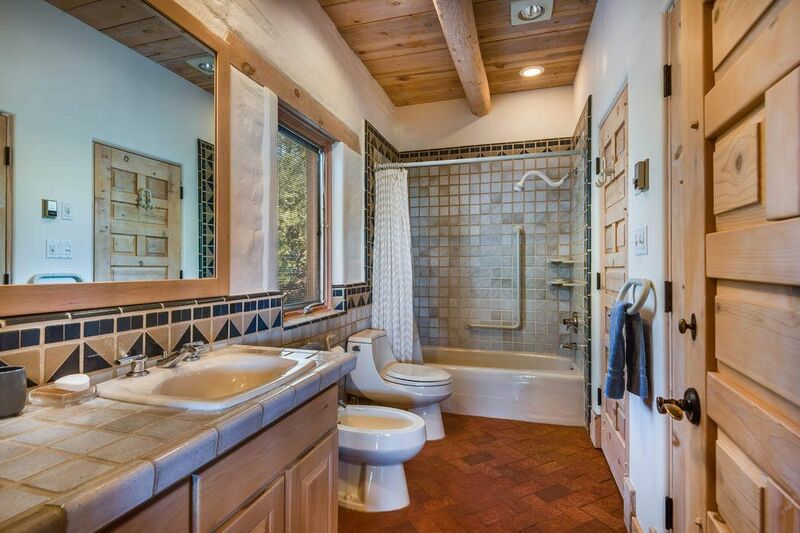 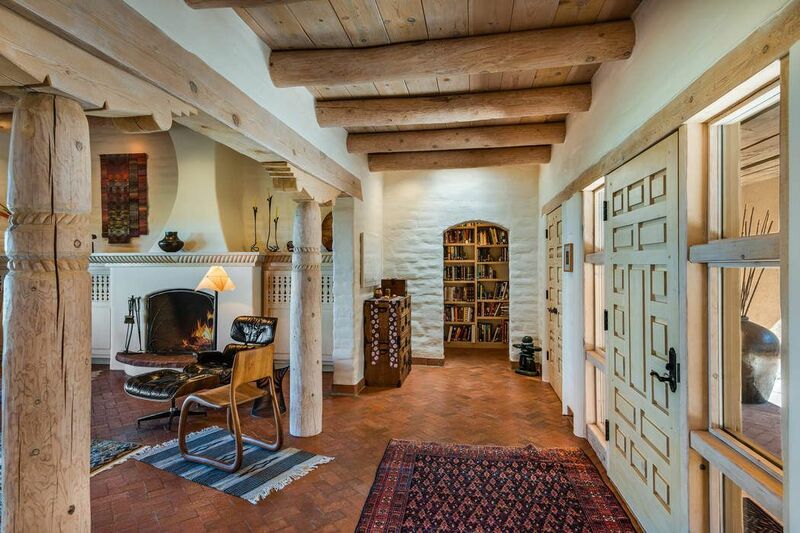 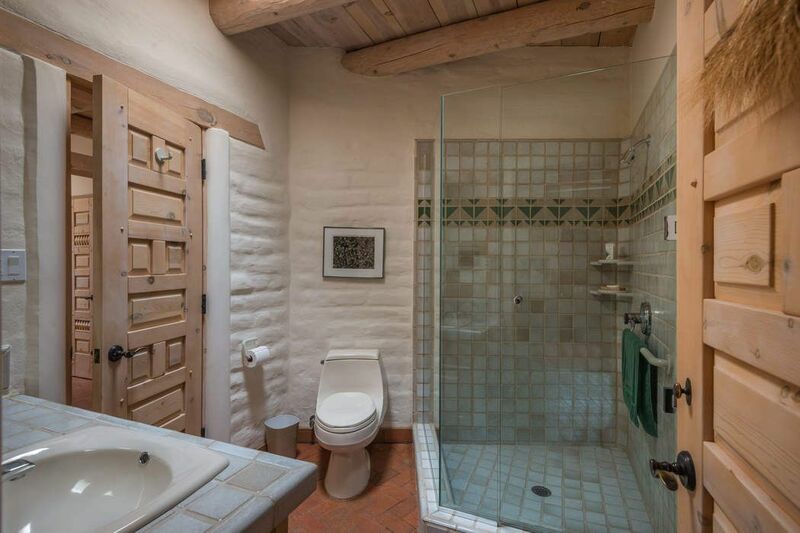 Carved doors, ceilings with vigas and latillas, skylights, and brick floors are among the noteworthy features. 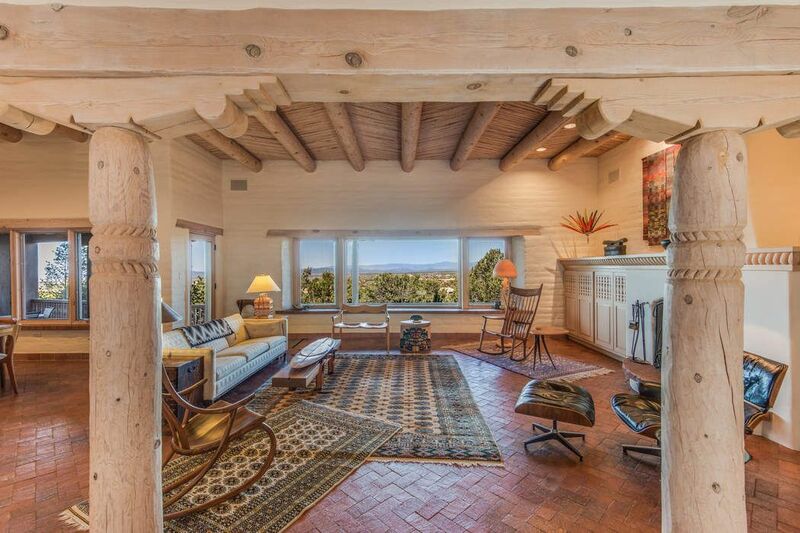 A majestic portal runs along one side of the home, looking out over the city toward the mountains and offering an ideal spot for relaxing and entertaining. 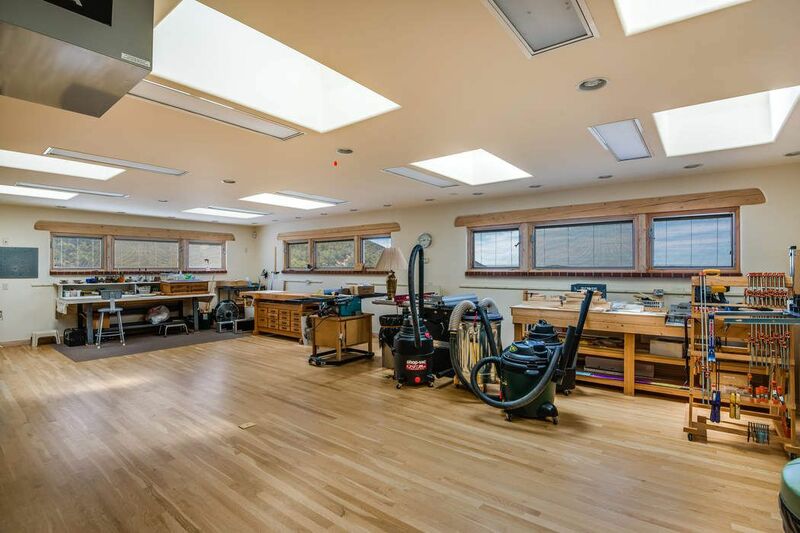 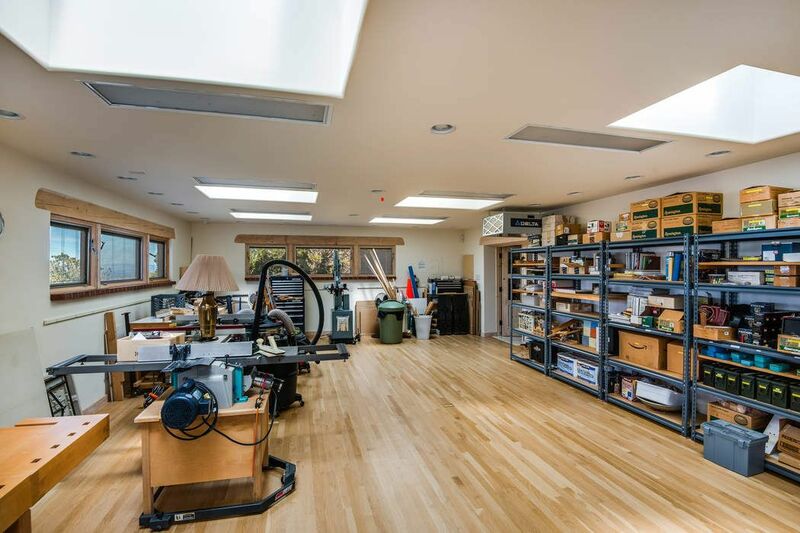 Off the roomy three-car garage is a sunlit studio or workshop with a rare two-room basement perfect for storage or a wine cellar.